Stuart Katchis, M.D. is a New York based orthopedic surgeon and founder of Extend Orthopedics serving patients all over the tri-state area. He is a recognized leader in the field of foot and ankle surgery with over 25 years of experience. 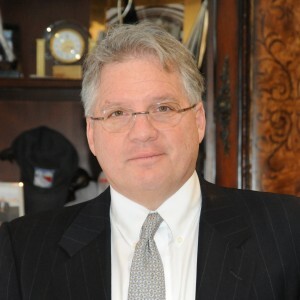 He currently serves as Section Chief, Foot and Ankle Orthopedic Surgery at Manhattan’s Lenox Hill Hospital, a role which he was appointed to in 1995 when the Lenox Hill Foot and Ankle Service was founded. Dr. Katchis frequently presents on foot and ankle surgery topics, including the latest advances in surgical techniques, and has published numerous articles on related issues. He has also been involved in the successful product development of cutting-edge medical devices to treat conditions of the foot and ankle, including bunions and hammertoe. Dr. Katchis received his medical degree at New York Medical College and completed his residency in orthopedic surgery at Lenox Hill Hospital. A fellowship-trained doctor, he completed fellowships at the prestigious Cleveland Clinic Hospital and Harbor-UCLA Medical Center.